A bursa is a fluid-filled space that acts as a cushion between tendons, bone, and skin. Bursae help your joints move with ease. There are over 150 bursae in your body. Several are found around the outer area of the hip near the portion of your thigh bone (the femur) called the greater trochanter. If you think about how much you walk each day, it makes sense why this section of bursae can become inflamed fairly often. When these fluid-filled spaces become inflamed, this is known as bursitis. Inflammation of a bursa is caused by repetitive-use injuries, prolonged pressure, lumbar spine diseases, rheumatoid arthritis, and sometimes infection. Repetitive-use injuries can occur with things like running, dancing, playing sports, and long hikes. These injuries can affect anyone at any age but are most common in middle-aged women. Your doctor will be able to diagnose bursitis when he physically examines the specific area causing pain and tenderness. An X-ray may also be taken to rule out other causes. Initial treatment of bursitis involves resting, immobilizing the area, and nonsteroidal anti-inflammatory medications (NSAIDs) to reduce inflammation and relieve pain. These tend to be the most effective way to treat the problem. Exercise and physical therapy, especially for the hip and lower back, can be helpful to strengthen the surrounding muscles and help prevent further injuries. If these measures don’t relieve your pain, a doctor may recommend an injection of corticosteroids around the bursa, which usually brings rapid pain relief. Surgery to remove the damaged bursa may be an option in severe cases. 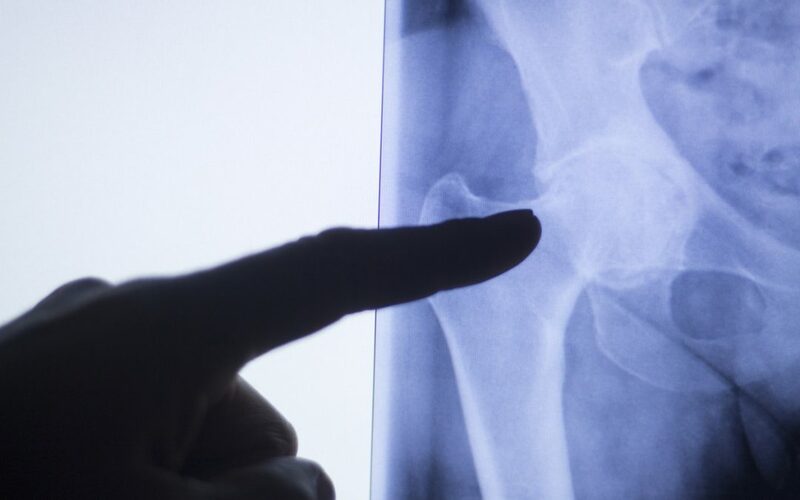 If you suspect that you have signs or symptoms of hip bursitis, please contact Dr. Larson’s office for evaluation and treatment options.